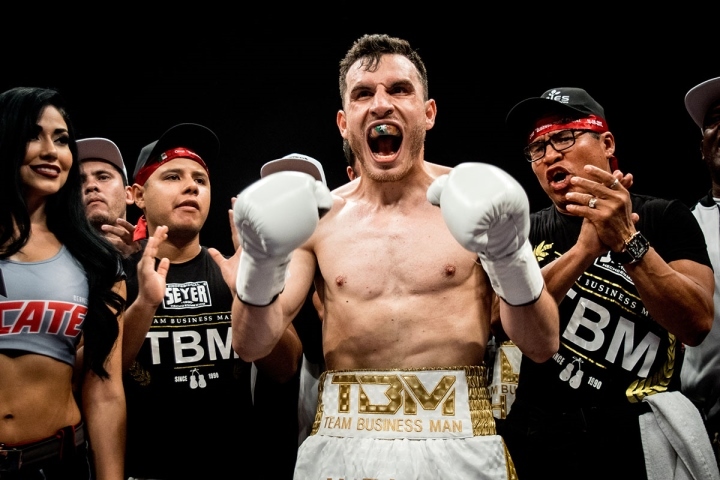 Omar Chavez fulfilled a promise when he managed to win by knockout in seven rounds, when he collided with his compatriot Andres Villaman, after knocking him down three times with powerful left-handed hooks in the main event of the show held at the Oasis Arena in Cancun, Quintana Roo. The victory was needed for the son of Julio César Chávez, who debuted with legendary former world champion Daniel Zaragoza in his corner. Omar, unlike other occasions, released more fists and showed no signs of fatigue. He created knockdowns in the first, fifth and seventh on Villaman, who no longer responded to the referee's count so that the fight would come to an end at 2:29 minutes of the seventh round. With the win, Omar improved his record to 38-5-1 with 25 knockouts, while his opponent sunk down to 15-2-1 and 10 by knockout. Also in Cancun, a duel of former world champions was won by Mexico's Francisco "Chihuas" Rodriguez, who got in a ten round unanimous decision with three scores of 95-92 over his compatriot Oswaldo "Gallito" Novoa. The fight was agreed for 10 rounds in the category of super flyweight. Rodriguez was deducted a point in the seventh round. With this result, "Chihuas" improved his record to 30-4-1 and 21 knockouts and Novoa, who went down to 14-9-4 and nine by knockout, has not won since June 2014, when he successfully retained the minimumweight title of the World Boxing Council. "Chihuas" expects an opportunity at 112 or 115 pounds to attempt to capture a new championship after holding the minimumweight belts of the International Boxing Federation and World Boxing Organization.